A George W. Woodruff School of Mechanical Engineering doctoral student was selected to receive a scholarship from the Vertical Flight Society's foundation. Brian Eberle, who is advised by Professor Jonathan Rogers, was one of 28 students whose research touches on vertical flight selected to receive a scholarship, which will be awarded at the Vertical Flight Society’s 75th Annual Forum in Philadelphia in May. 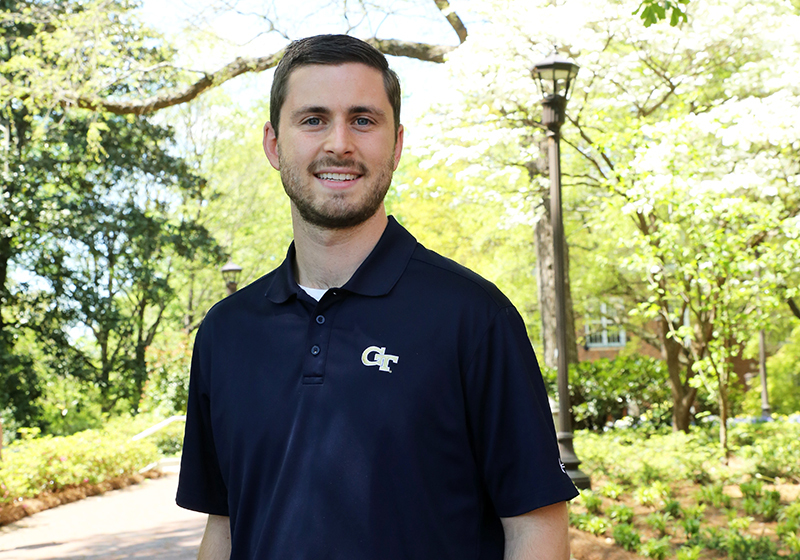 Eberle was awarded the Charles C. Crawford Scholarship, named in memory of the former Georgia Tech student, Army development leader, and GTRI researcher. Eberle's research focuses on automation of the helicopter autorotation maneuver, which is a maneuver a helicopter pilot performs to land safely after a loss of power. "Automation of this safety-critical maneuver is particularly relevant because of the transition of rotorcraft toward being fully autonomous," says Eberle. "We are also working on developing pilot cues to help them with decision making and control input timing throughout an autorotation." Eberle is planning to finish his Ph.D. in the spring of 2020 and hopes to transition to a career in industry that allows him to use his research skills in a product development role. Georgia Tech aerospace engineering doctoral students Aarohi Shah and Feyyaz Guner also received scholarships from VFS. Shah received the Jing Yen Cost Awareness Scholarship that is awarded to doctoral students who show interest in improving the affordability of rotorcraft and Guner received the Dr. E. Roberts (Bob) Wood Scholarship - named in memory of former Georgia Tech aeromechanics professor Dr. Bob Wood - for his submission on inflow modeling for multi-rotor configurations.